Smart sensors are an integral part of the Internet of Things as they will allow businesses to collect even more data on how their products are used. 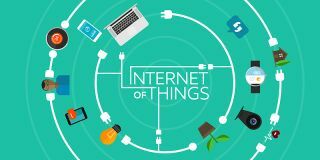 For those of you who aren’t aware (although I suspect the majority are), the Internet of Things (IoT) refers to ‘smart’ objects – anything from car, to home appliances – that can connect to a network to pass and receive data. Essentially, a device that links the physical and digital worlds. Although IoT has been around for many years, with some evidence of it as early as 1832, it would have been unheard of by anyone other than high level technology folk until recent years. According to Cisco Internet Business Solutions Group (IBSG), the IoT was born in-between 2008 and 2009 at simply the point in time when more “things or objects” were connected to the Internet than people. Since then, innovation has shifted even further, moving beyond traditional connected devices to pretty much anything with a power supply. Nowadays, IoT is a widely used phrase that you’re likely to have heard or spoke about at some point or another. This popularity hasn’t gone unnoticed and other industries want a piece of the pie. Manufacturers have created their own version of IoT, Industrial Internet of Things (IIoT), which is commonly used to monitor production processes and capture data for quality control and management. A recent research report by Navigant found that IIoT devices, software and services are expected to exceed $1 trillion by 2027. While it’s clear that more companies are adopting IoT and IIoT competencies to service a competitive advantage, many are still unaware of how to harness the potential connected devices can offer ― not to mention concerns around security and data breaches. If we fail to make the most of the benefits the technology offers, there is a growing risk that traction will be halted. Inmarsat recently revealed that almost all those using IoT solutions are experiencing, or expect to experience, significant advantages from the technologies. Improved service delivery capabilities, better health and safety, and greater workforce productivity are the top three benefits identified from the deployment of IoT-based solutions. IIoT on the other hand uses the technologies to provide businesses operating in the industrial space with real opportunity to leverage technology to drive growth, lower costs and develop new revenue streams. Enhanced predictive and preventative maintenance capabilities also means IIoT platforms enable more efficient use of energy, including consumption and data insights. After all, smart machines are more accurate and consistent when it comes to capturing and communicating data. Picking up on inefficiencies and problems, IIoT also offers unprecedented visibility of the entire supply chain. If implemented correctly, this level of connectivity will provide manufacturers with real-time knowledge of product and customer demand signals, leading to great potential for quality control and supply chain efficiency. IoT adoption of is driving the growth of sensor technology. It’s by no means a new concept – sensors have been around in industries for over a decade providing a vital link between technological devices and the world around them. These tiny devices are capable of capturing everything from our heart rates and footsteps through to temperature and pressure. In the early days, sensors were used with traditional connected devices like PCs and tablets, but nowadays they can be seen in anything from smartphones to health technology, as well as high value manufacturing. The rise of big data and the pressures around proficiencies and productivity has led more businesses to explore the concept of sensor-enabled machinery. Referred to as “indispensable and integral in digital ecosystems”, using smart sensors in a factory setting means that problems – or predicted problems – can be proactively identified and dealt with automatically – even down to component level – minimising downtime and boosting productivity. The sports industry is another sector deploying IoT and sensor technology to innovate existing products and make them intelligent. Football clubs especially have become reliant on big data in recent years, having long used GPS-tracking to monitor performance in training. UK sports tech pioneer, Aqua Running, is using sensor technology to further develop its revolutionary buoyancy suit that monitors training, exercise and rehabilitation in a swimming pool. But it doesn’t stop there. Smart buildings are becoming one of the most recognisable applications of IoT. Sensors can be used to turn off lights when the last person leaves at night, and turn them back on when the first person arrives the next morning. They can control heating, ventilation and air-conditioning, and analyse the data they collect to determine the most efficient means of lighting or heating a space. We’re also seeing more integration of sensors into everyday objects, such as electricity meters, waste bins, traffic lights and street lights, which is steering society towards a smarter way of living. There’s more talk of the likes of driverless cars, a key takeaway from the recent UK Budget announcement, which is set to transform how we live everyday life and take us one step further into a society revolved around the latest technologies. While the possibilities of IoT are seemingly endless, there are some significant challenges we’re working to overcome to get to where we want to and can be. The fact that within the IoT practically anything can be connected is a threat in itself. That’s why businesses need a robust strategy to protect themselves, and their data. Pay close attention to your firewalls, encryption, authorisation and network segmentation to ensure you are well equipped to withstand these threats. It’s also important to remember that the connection of devices is step one of IoT. Businesses will see the real value in the data and insights that comes from that connection. But big data is getting bigger, so organisations need to make sure they have a flexible storage solution in place to support their IoT efforts. Cloud-based storage is the obvious solution, allowing businesses to scale up or down. So what does the future of IoT hold? Well, it will continue to grow – we’re still in the early stages of what will be a highly connected world. We will see businesses and society go beyond just connecting things and move towards a connected ecosystem that addresses social challenges and improves quality of life, and sensor technology will play a vital role in that.